This page contains Tips and Tricks for Recommended Starter Pokemon in Pokemon Ultra Sun and Moon. It includes the roster of Starters and strategy. Trainers would often ponder on what is the best starter Pokemon in Sun and Moon. In the case for Pokemon Ultra Sun and Moon, the Sea Lion Pokemon Popplio appears to still be the Recommended Starter Pokemon since at the start of the game there are plenty of opponents that rely on using attack-lowering moves such as Charm and Growl. These are Status moves which Popplio conveniently ignores thanks to its early access to Special Attacks. This makes Popplio a superior choice as a Recommended Starter Pokemon for Trainers who struggle to win during the early stages of the game. Among the Revealed Pokemon, Trainers will expect to face against the following shown in one of the multiple in-game Trailers, this includes the Houndour line for Ultra Sun and Electrike line for Ultra Moon. In terms of Type Matchups, Primarina has advantage against 4 of the 6 Pokemon namely: Houndoom, Tyranitar, Zoroark, and Volcarona. If this roster includes Mega Evolutions, then Primarina can also deal with Mega Ampharos thanks to its Fairy Type advantage. Primarina only has to worry about non-Mega Ampharos and Tropius before it can have a field day. As for the other 2 Starters, unfortunately Trainers will have to find ways to handle them conveniently by assigning other Types to cover their weaknesses. If Litten manages to evolve into Incineroar, it gains a Dark Typing which makes it neutral against Volcarona. It deals neutral to Ampharos, Manectric, Zoroark and Volcarona, while only being Type advantageous to Tropius. It will not do much against opposing Houndoom due to it sharing the same type. To cover this, Incineroar requires assistance from Ground Types like Garchomp to handle majority of the threats. It can then cover the Ground Type’s weakness to Ice and Fairy Types. Finally there is Rowlet who gains a Ghost Typing upon evolving to Decidueye. It deals neutral to Ampharos and Tropius, assuming it uses Grass and Ghost Respectively. It deals super-effective damage to Tyranitar assuming it uses Grass moves, however it is vulnerable to Dark Type Attacks. The only Pokemon it can sponge with relative ease is Manectric, however both of its Types only deal neutral damage. This is also evident when pit against Tropius and Zoroark, who has STAB Flying and Dark moves respectively. Unfortunately, it will also struggle against Houndoom and Volcarona whose Types prey on its Grass and Ghost Typing. 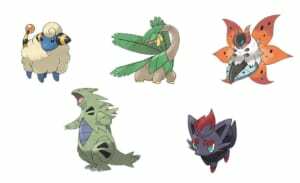 As a workaround, Decidueye will also have to rely on a Ground Type like Garchomp as it covers Decidueye’s weakness to Houndoom, Tyranitar, and Volcarona. These two will appreciate a Fairy Type support such as Sylveon, as it sponges Dark Type attacks from Tyranitar, and especially Zoroark, while it appreciates Garchomp’s resistance to Houndoom’s Fire Type Attacks. Given Popplio’s strengths over the other two, it is an excellent Recommended Starter Pokemon Pokemon when it comes to the Main Story since it covers most of the enemies early on in the game. Apart from that, it has a good type matchup when facing against late-game enemies since it acquires a Fairy Typing. However, this is not to say that the other 2 Starters are not worth raising. There are still some advantages on using Litten or Rowlet. If Pokemon Ultra Sun and Moon will follow majority of the spawns from Sun and Moon, then this means that Bugs and Grass-types are as abundant in the early game despite carrying plenty of Attack debuffing moves. 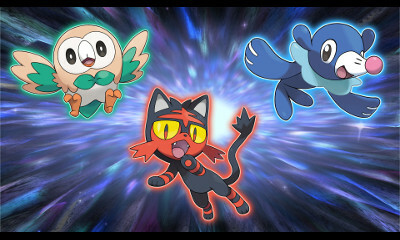 Either of the two can make quick work of random encounters because Litten has access to Ember, while Rowlet can use Peck to deal massive damage. In this case, they are also Recommended Starter Pokemon Pokemon albeit may require better support by considering Type synergy.